As the main sponsor of the film we had the base spirit of the drink, BELVEDERE VODKA (From Poland with love?!) From this we wanted to create a twist on the classic martini, Bond’s tipple of choice in many of the films. The cocktail itself was again concocted by our head mixologist Rory, who definitely has a (golden) eye for this sort of thing! The main star of the show is of course the Belvedere Vodka. To this base he added peach schnapps, orange liqueur and sugar syrup. All of these are shaken (not stirred!) over ice. The mix is a delicious fruity combination that packs a real punch! For such a huge film franchise, we wanted to offer two bespoke cocktail vessels, one based on the new release, Spectre, and one on the classic James Bond film, Casino Royale! 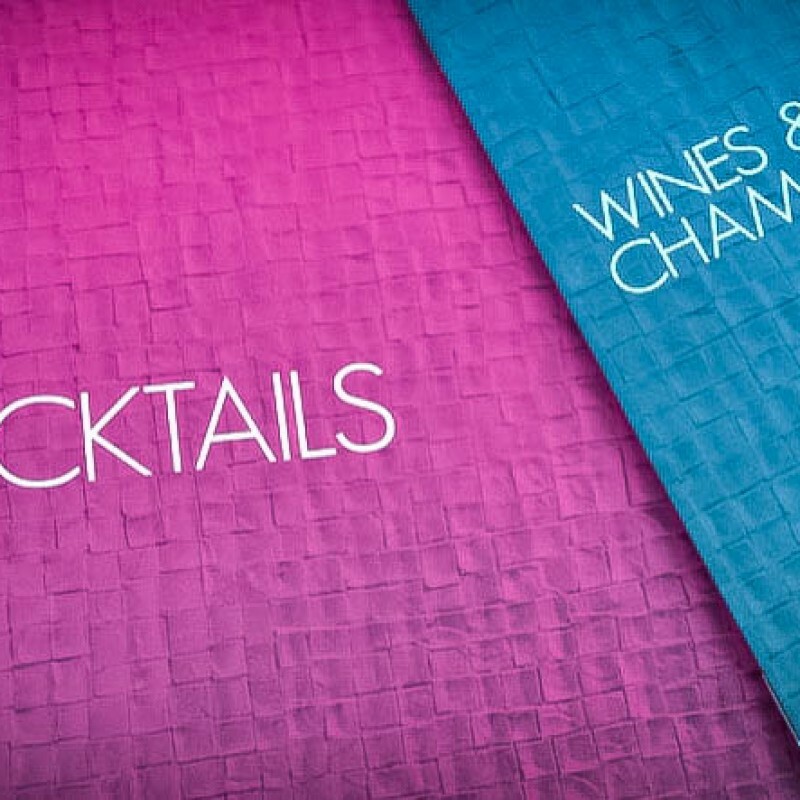 The same cocktail, different vessels! For Casino Royale, we just had to serve the cocktail in a classic martini glass! Served with our twist on olives (apple flavoured jelly beans!) a Bond girl playing card and a stack of chocolate poker chips! The Spectre cocktail is served in a skull tiki mug and garnished with an array of colourful leaves and exotic fruits. The skull is a nod towards The Day Of The Dead Festival, a big theme of the film. 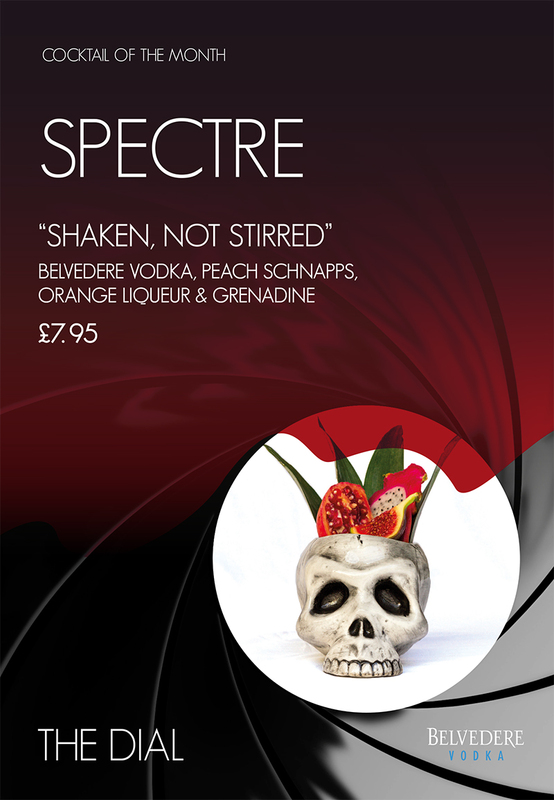 So, either choose a twist on the classic martini or the skull version, or try both, you only live twice after all! Whichever one you chose, we’re sure you’ll make an excellent choice, Mr Bond!